Are you a barracks manager taking on a barracks design or redesign project? If yes, Edwards & Hill Office Furniture is here to provide barracks furnishing tips to make the housing as comfortable and functional as possible. What are barracks as they relate to furniture? The barracks are single soldier housing. The design of barracks needs to provide soldiers a good quality of life. Ideally this means the housing is safe, clean, comfortable and well maintained. To meet these requirements you need to know the needs of the housing occupants. Commonly, dual military soldiers or grade E-5 (SGT) or below are housed in barracks. What are the standard furniture items a barracks room should include? A barracks room should at least feature a twin size bed frame and mattress. Beds are bunkable if extra floor space is needed. The barracks room should also include a computer desk, ergonomic chair, chest of drawers, a microwave and refrigerator. The room should be Wi-Fi and Cable ready too. As for the barracks building as a whole, there should be a laundry room and day room available. The laundry room should include several washers and dryers for soldiers to wash clothes. Ergonomic Chairs for healthy posture. Flexible Tables for collaborative work. Learn more about sustainable barracks furnishings by reviewing Edwards & Hill Office Furniture’s Barracks Furniture Lines. Edwards & Hill Office Furniture is here to make barracks feel like home as much as possible for soldiers. We highly recommend purchasing furniture items that are made of renewable products to reduce waste and make barracks rooms environmentally friendly and sustainable. For over 13 years, Edwards & Hill Office Furniture has provided products and services to the federal, state and local governments. We are an SBA SDB, Maryland DOT MBE/DBE, Virginia SwaM, Delaware MBE, Pennsylvania DBE, Connecticut MBE, Howard County MBE, Prince Georges County MBE, Baltimore City MBE, WSSC SLBE, MD/DC Minority Supplier Development Council and Greater New England Minority Supplier Development Council certified company. Edwards & Hill successfully graduated from the 9 year SBA 8a program on August 19, 2011. We have several other 8a partners that we can work with on 8a projects. Please contact us if you would like us to recommend an 8a firm. Our GSA contract number is GS-27F-0034W and our Navy BPA number is N00189-11-A-0059. Most of our furniture lines are on GSA schedule. We are also a Baltimore Regional Cooperative Purchasing Committee (BRCPC) Furniture Contract Holder. Contact Edwards & Hill by clicking here or call us at 410.884.8450 today! We are here to serve you! Check us out on Facebook, Twitter and LinkedIn as well! The design of a courthouse courtroom needs to be well planned out. It is not simply a room. A courtroom is an architectural structure open to the public and serves as a representative of a justice system designed to protect the security and rights of American citizens. To represent the American government as a creditable institution, a courtroom’s interior design must give off the impression of high security, durability, modern efficiencies and flexibility. This article will provide you valuable information on furnishing a courtroom for utmost comfort and functionality. Although courtrooms are places of business, courtrooms should be designed in a way that warmly welcomes the public. This can be accomplished with an eye-catching entry and a room layout that comfortably accommodates courtroom occupants such as the jury, judge and lawyers. The best courtroom designs are the ones that reflect on the historical values of America while incorporating state-of-the-art technology and comfort for all parties. The courtroom should provide court occupants plenty of natural light from windows and roof sunscreens. This will not only improve the temperament of the courtroom but also the energy management system of the building to strengthen energy efficiency and cost-effectiveness of the building structure. Since courtrooms are usually located on the upper floors of the courthouse, it is important that the courtrooms are designed as highly aesthetic spaces. Separate circulation patterns for public, prisoner and judiciary members. Accessibility lifts and ramps for clerks and jury box areas. Ergonomic Jury seating. 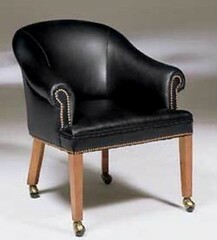 Swiveling chairs that feature upholstered seats are perfect for jury seating. For spectator seating we recommend wooden pews or upholstered auditorium seating. Ergonomic chairs are a must in the courtroom because defendants and the jury need relief from back and neck strain that result from prolonged sitting. Check out Edwards & Hills Office Furniture’s Government Furniture Lines for more information on courtroom ergonomic seating and other ergonomic furniture options. In President Obama’s State of the Union Address, a universal preschool initiative was proposed. The President wants to extend preschool to all American 4-year olds to address inequity in the education system. In an effort to meet this needs our schools will need to be adequately furnished. What features are included in high quality preschool classrooms? It is time to prepare. Edwards & Hill Office Furniture is here to design and furnish preschool classrooms. We also furnish and install, auditorium seating and lecterns, library furniture, Smart boards and projectors, and that is just a small sampling of what is needed for the ideal preschool classroom. The atmosphere should promote good classroom flow and set a positive learning environment for children. Many children from low-income families miss out on the educational benefits of daily bedtime stories, music lessons, and head start learning programs (examples: number games, science lessons, and writing skills). Studies have shown that preschool programs help prepare children not only for formal school but also increase their job readiness for professional careers. When shopping for quality preschool furniture, think kid friendly for bedding, toys, seating, tables and accent pieces. Preschool furniture should be fun, simple and orderly. The School furniture should also be appealing to all ages with bright colors (bright reds, apple greens, bright pinks, cerulean blues) and patterns. Purchase furniture with oak or plank wood materials. The wood materials are durable and highly resistant to wear and tear. Purchase child sized furniture items to fully accommodate small children. Seating and bedding should be soft and cozy – flat seat pans, beanbags, sofas and carpet squares are great selections. School furniture should also promote collaborative work. You can meet collaborative learning needs by purchasing durable, flexible furnishings such as arch shaped desks. Active learning environments are important for preschool students because students have a better opportunity to stay engaged and energized. Here at Edwards & Hill we offer a wide variety of educational furniture and laboratory applications. Edwards & Hill is here to design an intimate, durable, stylish Preschool Learning Environment. Take a look at our Lines of Educational Furniture and learn more about the benefits of educational furniture designs today. Edwards & Hill Office Furniture is a leading office planner and supplier for commercial companies, government agencies and individual consumers nationwide. We sell and install office furniture. We design and plan office layouts from start to finish. We even help you relocate and handle planning, marketing, public relations, and film and video production. Review what Ergonomic Office Furniture products and services our divisions, Furniture Division and Multi-Media Division, can provide to you today. Is the office looking a bit outdated? If yes, it is time to renovate the office space. One space in particular you should not overlook is the corporate cafeteria. This article will provide you tips on designing a highly functional and comfortable corporate cafeteria for clients and employees alike. Ideally, a Corporate Cafeteria is designed to provide a comfortable space for employees and clients to enjoy refreshments, relaxation and casual conversation within an office setting. A Corporate Cafeteria should also serve as designated area for the company to connect with potential clients and customers on a personal level. It is important to keep your corporate cafeteria as modern as possible because the corporate cafeteria can reveal plenty about your office operations and business culture, from how well you treat your employees to the quality of customer service you provide to your clients. Remember, first impressions are lasting impressions. If you want to make a good impression on your customers, clients and workers, your corporate cafeteria should go well beyond adequate accommodations. It should be a fabulous refreshment area from floor to ceiling. Use Warm Colors for the Interior Design. The basic function of a corporate cafeteria is to provide a place where people can relax and enjoy a meal. It should allow for a mental break from the workplace that allows staff to feel revitalized and ready for the second half of the day or to get their day off to a good start. Studies have revealed that warm colors of yellow, red, orange and green increase appetites and refresh minds to energize employees for afternoon labor. Purchase Comfortable And Simple Cafeteria Furniture Items. Furniture lines that feature fiber, plastic and metal components are highly recommended for cafeterias because they are low maintenance and comfortable. This simplicity and comfort should be top priority when purchasing cafeteria seating and tables. There are plenty of great looking, yet simple lines of hospitality furnishings that can help you to achieve this goal. Keep Hygiene in Mind. For example, the cafeteria should have modern garbage disposals, washing areas and sturdy countertops that make removing grit an easy task. Use Wall Space Decorations to Motivate your Employees’ Creativity. This can be accomplished by posting artwork and pictures of outstanding world leads, inspirational quotes and moral murals. Also, it is highly recommended that a recreational area in the cafeteria be provided for employees to play board games and read books. You might also consider a quiet room where staff can take 10 or 15 minutes to decompress. Review Edwards & Hill Office Furniture Cafeteria Furniture Line by clicking on Hotels/Hospitality for more details. Edwards & Hill is here to design an intimate, durable, stylish corporate cafeteria for your office today.